It has been another eventful weekend of European football, with Lionel Messi taking all of nine days to grab his first hat-trick of 2016. Barcelona's four goals against Granada were bettered by Real Madrid, who scored five against Deportivo La Coruna, and Napoli, who did likewise against Frosinone in Serie A. But what else might you have missed across Europe? BBC Sport has rounded up the best of the action. Against all odds for Phil at PSG? 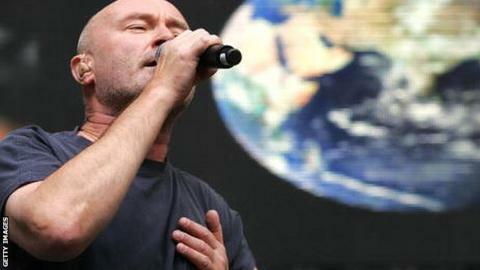 Phil Collins famously played at both Live Aid events in London and Philadelphia in 1985. But could he be on his way out at Parc des Princes? There's something in the air in Paris, where it seems Phil Collins might not be required at the Parc des Princes. For more than 20 years, the reigning French champions and current Ligue 1 leaders have run out to Phil's 'Who said I would?' a track from the 1985 multi-million-selling album No Jacket Required. In honour of the victims of November's terrorist attacks in the French capital, the club changed tack as the players came out to 'O Ville Lumiere' ('O City of Light') for the last four home games. They are now considering adopting the Parisian adaptation of Flower of Scotland on a permanent basis. Supporters are divided over the potential move. While respecting the moving new tribute, many are keen to revert to Collins-based entrance, while others feel there is room for both to receive a pre-match airing. A final decision is set to be made this month. Michu on the way back? He scored 18 goals in his first season in the Premier League and played for Spain, but former Swansea striker Michu has set about re-launching his career in much less glamorous surroundings. The 29-year-old scored his first goal in more than two years after dropping down to Spain's fourth tier to start playing again with the help of his brother. Hernan Perez is coach of Tercera Division side Langreo and has signed his more famous sibling, who made his debut on Thursday and scored his first goals on Sunday, finding the net twice in a 5-1 win at Lugones. Perez said: "As a coach I want him to stay here for the rest of the season, but as a brother I hope he doesn't even get to the end of January with us because an opportunity in the higher tiers comes up." Sergi Guardiola might have his phone under lock and key after being given another chance just two weeks after being sacked by Barcelona. The 24-year-old forward made the headlines when he was released just hours after signing for the Camp Nou side after the club were alerted to "offensive tweets" he had posted two years earlier about Barca and Catalonia. Guardiola accepted the decision but claimed the 2013 tweets, which expressed support for Real Madrid and included offensive language about Catalans, had been posted when a friend used his phone. Now he has signed for Granada B, who described him in a statement as "a player with huge potential who will serve to strengthen the youth team even more". Alexandre Lacazette wrote his name into Olympique Lyonnais' history books by scoring the first goal at their new Grande Stade de Lyon as they beat bottom-of-the-table Troyes 4-1, their first league win since November. The impressive 59,500-capacity venue, which is also know as Stade des Lumieres, was completed almost two years behind schedule at a cost of around £290m. It will host six games at this summer's European Championship finals, four in the group stages including Northern Ireland's meeting with Ukraine, a round of 16 match and one of the two semi-finals. The stadium replaces the 40,000-seater Stade Gerland, Lyon's home of 65 years, which hosted matches at Euro 1984 and the 1998 World Cup. Forget No Jacket Required, it was almost no shorts required as PSG beat SC Bastia 2-0 thanks to goals from Thiago Motta and Maxwell to see them enjoy a 20-point lead at the top of the French league. Marco Verratti ensured the hosts earned their latest clean sheet, bringing down Axel Ngando, and into the bargain the Bastia man's shorts, in cynical style as the 22-year-old midfielder closed in on goal. Even if Ngando couldn't see the funny side with his shorts round his ankles, his Italian opponent could. After escaping with a yellow card, the 23-year-old said: "I will not make a mistake with the feet because it is dangerous to the opponent," he said. "I tried to take the shorts. It was not a good choice. I had lost the ball and we were outnumbered. I didn't want to be at fault for a goal." What makes 'perfect' Ballon d'Or winner? Read more on Ballon d'Or at 60: What makes the perfect winner?